Ice Box is a box to freeze and store the apps you rarelyused. Apps in box will be hidden from launcher and won’t be able tosteal your battery or cellular data in background. You can easilylaunch them from Ice Box, just like launch from a home screenfolder. They’ll be frozen automatically after screen lock and can’tdo anything in background. 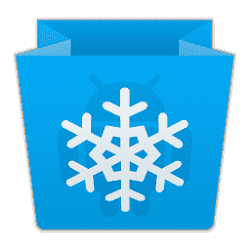 – Quick freeze or defrost selected app(s).